Television programming today is nothing like it was when I was a kid sitting in front of our black and white television. Getting good reception in those days depended on the orientation of the rabbit-ear antenna on top of the console. And programming was limited to only a few hours a day. At night, networks signed off for with the Star Spangled Banner before the screen went blank. In those earlier days of television I especially enjoyed Captain Kangaroo, Lassie, and the Lone Ranger. I spent the rest of my time outdoors having adventures of my own. Today, I subscribe to a cable service that gives me round-the-clock access to more channels than I can possibly watch. Even so, my own television viewing is limited to just a few of those channels — mostly how-to, documentary, and some reality programs. I especially enjoy the History Channel. 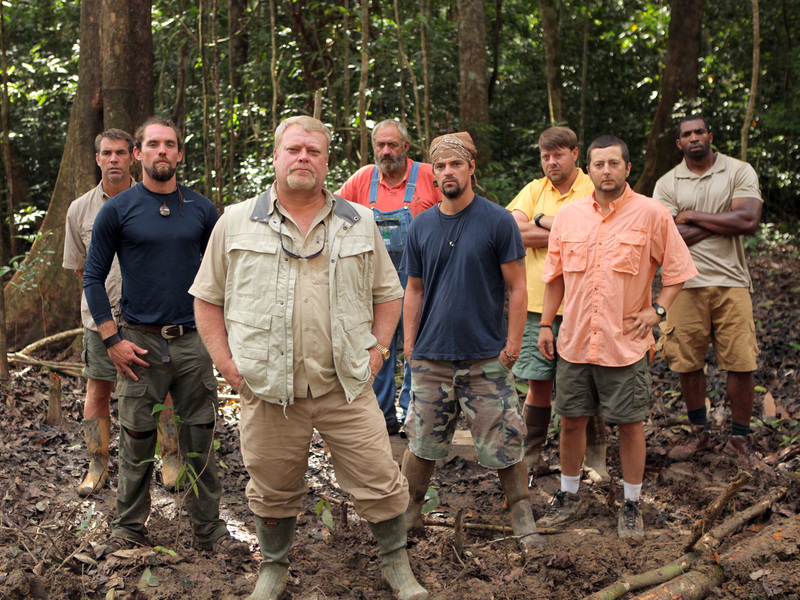 This season I have become hooked on Bamazon, a reality show about eight out-of-work construction workers from Alabama who have risked everything on the long-shot that they will find gold in the Amazon jungle. What intrigues me about Bamazon is how much these guys have on the line. Working in one of the most inhospitable places on the planet, the thought of finding gold motivates the Bama boys to press on in spite of the heat, humidity, malarial mosquitoes, venomous snakes, and a host of other threats and challenges. None of them had any mining experience when they started and most of them had never been out of the country before. Nevertheless, they are determined and are using every ounce of ingenuity to solve problems in order to keep their operation running. One of the most obvious lessons from shows like Bamazon and the Discovery Channel’s Gold Rush Alaska is that you have to move tons of dirt in order to find an ounce of gold. And moving all that dirt means keeping lots of heavy machinery running smoothly and every man doing his part. Reality shows like Bamazon remind me that we should do the same thing — that is, to be willing to move tons of dirt in order to find that ounce of gold in the people we interact with daily. Sadly, for many people, it’s more tempting to focus on the dirt. When asked about how he had helped so many people to become millionaires, Andrew Carnegie replied: “You develop millionaires the way you mine gold. You expect to move tons of dirt to find an ounce of gold, but you don’t go into the mine looking for the dirt — you go in looking for the gold.” That is a sensible observation and good advice. I’m rooting for the Bama boys and hope they strike it rich. But I am also on the search for gold. I’m looking for it in the people around me. I am already rich but hoping to become richer. I enjoy your thoughtful & thought provoking blog very much. However I just have one question. When did Capt. Kangaroo lose his rank & get busted back to Mr. Kangaroo? Yikes! What was I thinking? He will always be Captain Kangaroo 😉 I will correct my error. Another indication that I am getting really old. Thanks for reading. Like anything else you can find the old clips on YouTube. LOL. Brings back lots of good memories of a simpler time. I will check out the You Tube clips. Thanks. This blog is awesome! I am in search of gold around me also! Thanks, Deana. There is indeed lots of gold waiting to be mined all around us. Thanks for looking for the gold in others! Thanks for being a fan of our show. Wonderful article! Wow! Thanks, Darryl. Look forward to each episode. Thanks for commenting. Keep watching! If you are around Alabama we are having several Meet and Greets this weekend and next! Will do. I am out of the country next couple of weeks but would love to attend a Meet and Greet later on if more are scheduled. Have watched many episodes and am amazed at the inginuity brought to the job by Clate and ALL the men. Thanks O. I’m also mining the gold around me. Yes, the entire crew has had to deal with all kinds of incredible challenges. All good guys. I know they are probably all home after filming, but I continue to root for them. Can’t wait for the next episode. I do not know, but perhaps a reader who does will leave a reply.